This summer Sarsen is looking forward to a busy couple of months, with a number of exciting visits on the calendar. Despite the busy schedule however, the Sarsen team will still be here to talk about embedded application requirements. The XCalibur4540 is a high-performance, 6U OpenVPX™ multiprocessing single board computer based on a fourth generation Intel® Core™ i7 Haswell processor. 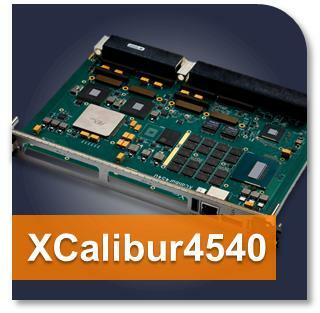 With four 10GB ethernet ports on the data plane and a configurable x16 Gen3- capable PCI Express expansion plane interface, the XCalibur4540 delivers performance and efficiency for embedded computing applications. The ONYX from Ecrin Systems is a small form factor, MIL-STD-810G/MIL-STD-461F certified fanless computer which employs leading edge dual or quad-core Intel® Core™ i7 3rd & 4th Gen processing capabilities to meet a wide variety of mission requirements, and is ideal for high performance harsh environmental and space constrained applications. The DNx-DIO-449 from United Electronic Industries (UEI) is a 48-channel, high-performance AC and DC digital input board designed for use in a wide variety of digital monitoring applications. The inputs are divided into two 24-bit ports, each of which presents data in a 24-bit read. This simplifies programming and maximises throughput. The board reads all 48 bits at sustained rates in excess of 1kS/second. Automatic change-of-state (COS) detection is available with 200μS time stamp accuracy. The board is compatible with all of UEI’s popular Cube, RACKtangle and FlatRACK chassis. The 12-channel PCIe-24DSI12WRCIEPE analog input module from General Standards provides high-density 24-bit IEPE analog input resources on a standard PCI Express module. Optimised for flexibility and performance, the board is ideal for a wide variety of applications, ranging from IEPE transducer inputs and precision voltage measurements, to the analysis of complex acoustic signals and waveforms.